We’re based in Luton and are looking forward to hearing from you! No job is too large for our experienced commercial plumbing and heating engineers! Whatever your boiler requirements – whether a repair or a brand new boiler, we can help you! Plumbing and Heating Services in Luton, Bedfordshire and surrounding areas. LJ Heating Ltd offers expert, exclusive and affordable heating and plumbing services to homeowners and landlords as well as schools, hospitals and other businesses. For over 19 years we have been providing an unrivalled and friendly professional plumbing services to our happy clients. Look no further and take advantage of our expert heating and plumbing services available to you here in Luton, Bedfordshire and the surrounding areas. Our company is Gas Safe Registered for all boiler installation and repair work. LPG, Natural Gas, Range Cookers, Gas Water Heaters etc, please check our Heating page. Oil to Commercial and domestic premises, new installation and maintenance. 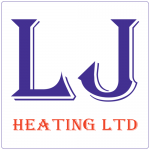 LJ Heating Ltd has over 19 years experience ensuring that you get the best advice and service. Get In Touch Today! Gas safety Check and service the boiler. © 2019 LJ Heating Ltd.